Deal Junkie focuses on Entrepreneurs who want to grow their business and access capital. Private Equity firms have over $1 trillion to invest and are the dominant form of middle market financing, yet it is one of the least transparent markets. What makes the difference between companies who succeed and those who fail in this market? 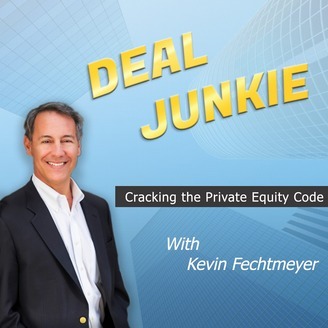 Join Kevin Fechtmeyer, a 27 year industry veteran and his partners on Deal Team 6 who will dissect the deals that come in with thoughtful but brutal honesty and an occasional dose of humor. Find out why most companies aren’t ready for a deal. 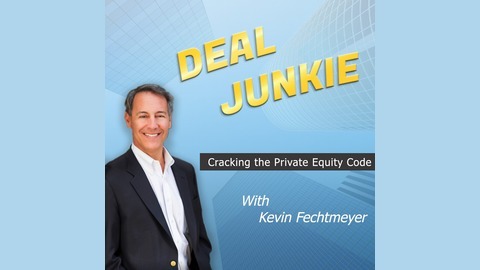 Deal Junkie is an informative, entertaining mix of interviews and call-ins with deal professionals, investors, CEO’s and other experts. We will interview entrepreneurs who were successful in attracting capital and those that weren’t. If you are in business, you will be able to relate to their real life stories of trials, tribulations and triumph. Deal Junkie airs Wednesdays at 10 A.M Pacific on VoiceAmerica Business. Find out how private equity use debt in their investments. Using the right kind of "L" in an "LBO" can mean the difference between good returns and weak returns (and sometimes between bankruptcy and success). What do I do when I sell my company and get all this money? Is Amazon Your Friend or Foe?